Posted on November 3, 2017 by Dave Smith. BSH Home Appliances Corporation has voluntarily agreed to expand its 2015 dishwasher safety recall to replace the power cords on certain Bosch, Thermador, Gaggenau, Kenmore and Kenmore Elite dishwasher models. This expansion of the safety recall is effective October 19, 2017. The original announcement was made October 1, 2015 following customer reports that found the dishwasher power cord connector plug, which connects behind the dishwasher, can overheat, posing a potential fire hazard. No injuries have been reported. BSH is working in full cooperation with the U.S. Consumer Product Safety Commission and Health Canada to quickly recall and replace the affected power cords. The affected units are limited and listed in the table below. It is important that we locate as many units as possible and make the necessary repairs to minimize further incidents. BSH has made arrangements to have all units repaired with a replacement power cord in the customer’s home free of charge. Affected customers will be provided an authorization number to have the necessary service call completed. A link has also been added to the safety recall page on the respective brand Web sites where a customer can check if their model is affected. Other characters to identify different colors will follow the model numbers shown in the table. 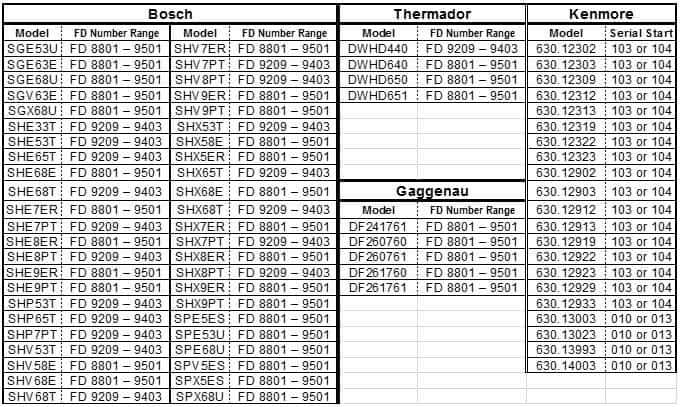 The table also shows the first four numbers of the serial numbers beginning with FD. The serial number range determines whether the model is affected by the recall. 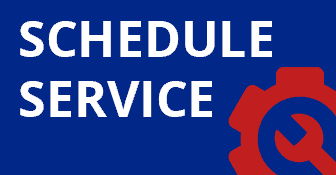 BSH Authorized Service Agents and Sears are authorized to service Kenmore and Kenmore Elite models.